Women in Madagascar are scrambling to access contraception—while they still can. By the end of this year, one of the most prominent organizations that provides family planning services in the country will have shut down 21 of its 22 mobile contraception clinics, an important service in a country where transportation and roads are in poor shape. Worlds Apart: Reproductive Health and Rights in an Age of Inequality argues that addressing gender and reproductive health inequalities will ameliorate other kinds of inequality, including poverty. In less developed countries, girls under age 15 have more than a million births a year. The authors estimate that if every girl in sub-Saharan Africa received secondary education, there would be a 42 percent reduction in births, bringing the average number of children per woman in the region down from 6.7 to 3.9. 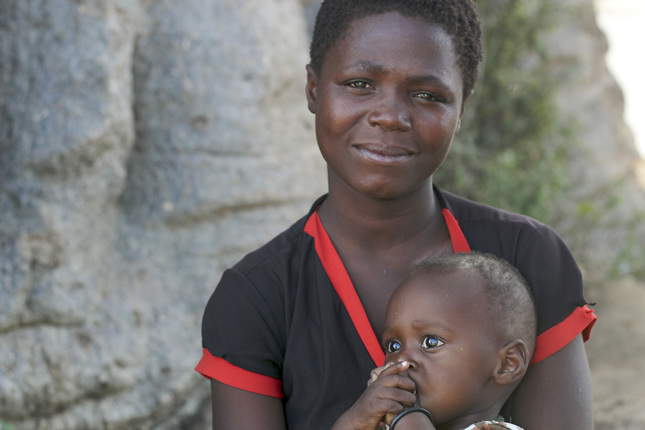 Avoiding adolescent pregnancy has significant economic benefits, for the girls and their families. One World Bank study cited in the report “suggests that the lifetime opportunity cost related to adolescent pregnancy—measured by the mother’s foregone annual income over her lifetime—ranges from 1 percent of annual GDP in China to 30 percent of annual GDP in Uganda.” When girls have children too young, they forego education and skills training, may stay out of the workforce because of prohibitive childcare costs, and end up with fewer resources over their lifetime, miring themselves and their children in poverty, as the report notes. Although the UNFPA report focuses on the economic implications of high fertility, there is significant research showing that high fertility and extremely youthful populations can be correlated with civil conflict. Women in Somalia, Niger, Democratic Republic of Congo, Afghanistan, and South Sudan have some of the highest fertility rates in the world—more than five children per woman on average in her lifetime—and these states also suffer from severe political instability. It’s still a leap from individual women’s lack of reproductive health services to societies suffering from violent conflict. But there are general connections we can draw: Just as having multiple children divides the time and money a parent can spend on each individual child, there are fewer opportunities for education and employment in societies with fewer resources and large cohorts of youth. Young people without jobs or education might be socially excluded or unable to afford rites of passage like marriage. Lack of job or marriage prospects lowers the opportunity costs of joining an insurgent group, engaging in criminal activity, or participating in civil violence. And these youth may not have other avenues for exercising their political voices, since youthful countries are generally undemocratic. Research on relative deprivation shows that when youth are relatively deprived of opportunities compared to older, smaller cohorts, or compared to those youth who are doing better than others, they have motive to rebel. Both motive and opportunity for conflict are abundant in young populations like Afghanistan’s. Unfortunately, research linking age structure and transitions to democracy indicates that the global community will be dealing with instability and violence in most of those young countries for the foreseeable future. Based on an age-structural analysis, there’s almost zero chance of stable democracies in the most youthful states over the next few decades—without significant investments in changing their demographic path. With such dire consequences, how should the global community respond? To reduce gender and economic inequality, the reports calls for more equitable access to family planning and reproductive health services. In the world’s least developed countries, the differences in fertility rates between the poorest and richest are enormous. The authors found that the three most powerful indicators of whether a woman will have access to adequate family planning are: 1) whether she lives in a rural or urban area; 2) her level of education; and 3) whether she is affluent or poor. Bangladesh, Bhutan, Cambodia, and Thailand have all made significant progress towards increasing contraception access. Indeed, total fertility is at or below replacement level in three of the four (it is 2.52 in Cambodia). Rwanda has also made a lot of progress in both reproductive health access and inequality between 2005-2015. But aside from a few outliers, contraception access is poorest in the countries of West and Central Africa, followed by East and Southern Africa. In developing countries, the needs of 12.8 million girls aged 19 and under for family planning are unmet, due to stigma, concerns over confidentiality, or lack of power when they are married to an older man, according to the report. This unmet need can have deadly consequences: Complications from pregnancy and childbirth are the leading cause of death in adolescent girls globally. But it is not just adolescents. A study by the Guttmacher Institute finds that every year there are 85 million unintended pregnancies. The physical and emotional strains of these unintended pregnancies place an enormous burden on individual women in the world’s poorest states. Meeting unmet need is not only the right thing to do for the women who are bearing these burdens; it will also bolster economic growth and could position youthful countries on the path to stability. Following the civil war in Rwanda, for example, the country’s strong investment in providing family planning has dramatically reduced its fertility rate, and the country has enjoyed more than 20 years of relative peace. The United States, which has historically been a large donor, has proposed reducing its funding for reproductive health, among other reductions in foreign assistance. The reinstatement of the Global Gag Rule has expanded the ban to include organizations that provide other important public health services, like those for HIV/AIDS and malaria, potentially cutting an even greater proportion of the public health funds. If gender and reproductive health inequalities are putting the world at greater risk of poverty and instability, such changes to U.S. policy and funding are only going to make those inequalities worse, which is not good news for our prosperity and our security. Jennifer Sciubba is an associate professor at Rhodes College and a global fellow with the Wilson Center.